Our Hawke’s bay team has been rapidly expanding, as such we would like to introduce a few of our newest members. 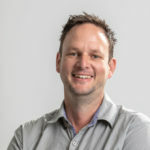 Alan has been appointed as Manager for Cheal’s Napier office after working for the organisation for just 12 months and his key focus is the growth of our Hawke’s Bay Office. Alan was born and raised in the Hawke’s Bay. His career as a Surveyor started over 20 years ago when he joined Hawke’s Bay Regional Council as a cadet. Now a Licensed Cadastral Surveyor, Alan has a real passion for surveying and producing quality outputs for his clients. Alan has in-depth knowledge of the Napier, Hastings, Wairoa and Central Hawke’s Bay District Plans and their effect on Engineering, Surveying and Resource Management Planning for the region’s clientele. He believes in fostering good working relationships with people by assisting them to achieve successful project outcomes by providing friendly and sound advice from the outset. Chris graduated from the University of Auckland in 2009 with a Bachelor of Science majoring in geology and geography. His early career was spent working on international mining projects offshore including the Philippines, Africa and Australia. In 2013 Chris decided it was time to move home to New Zealand. Upon arriving home he spent 3 years working as an engineering geologist before returning to the University of Auckland to continue studying, this time in the fields of geotechnical and environmental engineering. Chris has extensive experience ranging from large dams, mining and quarrying projects, multi-storey commercial, large industrial, roading, infrastructure, large subdivisions and residential dwellings. Whilst his career is flourishing, his homelife is to, happily married to his wife Kathy and together enjoying the challenges of raising 2 young children. 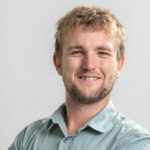 Tom hails from London in the UK, arriving in New Zealand with his partner Poppy in October 2018 and after doing a couple of weeks travel around the South Island they settled in Hawke’s Bay. 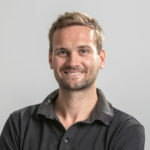 Tom has worked as an Engineering Geologist and a Geotechnical Engineer throughout the UK and more recently within the Hawke’s Bay region. He has worked on a variety of Geotechnical projects, ranging from large industrial development to foundation design for single residential structures. His key experience includes the organisation and running of Geotechnical Investigations, foundation and temporary works design, ground movement analysis and basement impact assessments.